Oh look, I rambled and got lost in my own side note! Let me repeat the exciting news since it may have gotten lost in all of that ramble! THERE WILL BE A FREE GIVEAWAY CONTEST STARTING JULY 2ND! 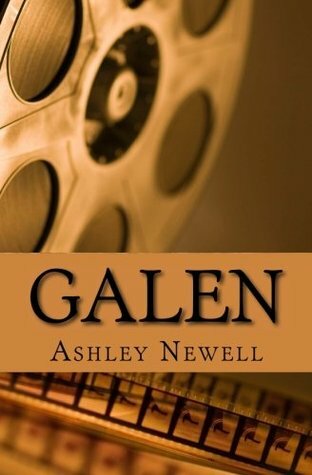 Enter to win one of 4 copies of Galen. This contest is open worldwide. And I mean WORLDWIDE. Honestly, there are names on this list that I've never even heard of... So, YES, even YOU could walk away with a free copy of the new edition! United States, Canada, United Kingdom, Australia, Afghanistan, Aland Islands, Albania, Algeria, American Samoa, Andorra, Angola, Anguilla, Antarctica, Antigua and Barbuda, Argentina, Armenia, Aruba, Austria, Azerbaijan, Bahamas, Bahrain, Bangladesh, Barbados, Belarus, Belgium, Belize, Benin, Bermuda, Bhutan, Bolivia, Bosnia and Herzegovina, Botswana, Bouvet Island, Brazil, British Indian Ocean Territory, Brunei Darussalam, Bulgaria, Burkina Faso, Burundi, Cambodia, Cameroon, Cape Verde, Cayman Islands, Central African Republic, Chad, Chile, China, Christmas Island, Cocos (keeling) Islands, Colombia, Comoros, Congo, Congo, the Democratic Republic of the, Cook Islands, Costa Rica, Cote D'ivoire, Croatia, Cyprus, Czech Republic, Denmark, Djibouti, Dominica, Dominican Republic, Ecuador, Egypt, El Salvador, Equatorial Guinea, Eritrea, Estonia, Ethiopia, Falkland Islands (malvinas), Faroe Islands, Fiji, Finland, France, French Guiana, French Polynesia, French Southern Territories, Gabon, Gambia, Georgia, Germany, Ghana, Gibraltar, Greece, Greenland, Grenada, Guadeloupe, Guam, Guatemala, Guernsey, Guinea, Guinea-bissau, Guyana, Haiti, Heard Island and Mcdonald Islands, Holy See (vatican City State), Honduras, Hong Kong, Hungary, Iceland, India, Indonesia, Iraq, Ireland, Isle of Man, Israel, Italy, Jamaica, Japan, Jersey, Jordan, Kazakhstan, Kenya, Kiribati, Korea, Republic of, Kuwait, Kyrgyzstan, Lao People's Democratic Republic, Latvia, Lebanon, Lesotho, Liberia, Libya, Liechtenstein, Lithuania, Luxembourg, Macao, Macedonia, the Former Yugoslav Republic of, Madagascar, Malawi, Malaysia, Maldives, Mali, Malta, Marshall Islands, Martinique, Mauritania, Mauritius, Mayotte, Mexico, Micronesia, Federated States of, Moldova, Monaco, Mongolia, Montenegro, Montserrat, Morocco, Mozambique, Myanmar, Namibia, Nauru, Nepal, Netherlands, Netherlands Antilles, New Caledonia, New Zealand, Nicaragua, Niger, Nigeria, Niue, Norfolk Island, Northern Mariana Islands, Norway, Oman, Pakistan, Palau, Palestinian Territory, Occupied, Panama, Papua New Guinea, Paraguay, Peru, Philippines, Pitcairn, Poland, Portugal, Puerto Rico, Qatar, Réunion, Romania, Russian Federation, Rwanda, Saint Barthélemy, Saint Helena, Saint Kitts and Nevis, Saint Lucia, Saint Martin, Saint Pierre and Miquelon, Saint Vincent and the Grenadines, Samoa, San Marino, Sao Tome and Principe, Saudi Arabia, Senegal, Serbia, Seychelles, Sierra Leone, Singapore, Slovakia, Slovenia, Solomon Islands, Somalia, South Africa, South Georgia and the South Sandwich Islands, Spain, Sri Lanka, Suriname, Svalbard and Jan Mayen, Swaziland, Sweden, Switzerland, Taiwan, Tajikistan, Tanzania, United Republic of, Thailand, Timor-leste, Togo, Tokelau, Tonga, Trinidad and Tobago, Tunisia, Turkey, Turkmenistan, Turks and Caicos Islands, Tuvalu, Uganda, Ukraine, United Arab Emirates, United States Minor Outlying Islands, Uruguay, Uzbekistan, Vanuatu, Venezuela, Viet Nam, Virgin Islands, British, Virgin Islands, U.S., Wallis and Futuna, Western Sahara, Yemen, Zambia, and Zimbabwe. I kind of want Antarctica to win, despite what that may cost me in postage; just to be able to say that I've had my books read from here to Antarctica. ​And then I'd proceed to picture penguins huddled around reading... or eating the pages... whatever makes them happy. "This nest, brought to you by Galen!" I'm sure that I could turn that into a selling feature. "Entertains and houses penguins!" I'm sorry, this is terribly rambly. Alan Tudyk totally liked my tweet and I'm feeling giddy and important. I mean, he liked my tweet because I just spent $30.00 US on his stuff... which works out to be like a bagillion dollars in Canadian... and now I can regret that comment as people miss my Canadian humour and start researching the exchange rate. Anyways, keep checking back for updates about Galen (and the next surprise around the corner, which will be handled in a far more timely fashion since I've done this run and can - hopefully - learn from my goof ups here). Last week I posted this sneak peek picture to start us off on our little contest/cover reveal. Well the correct answers were drawn. Congratulations "Reggie" for guessing the correct answer! I had a feeling that this one wouldn't be too hard. Given the guesses, I have to say, I was a little sad that no one tried out their psychic powers and came up with something funky of their own - unless of course you DID use your psychic powers, in which case, could you please pick me up some lottery tickets? So what made this one so easy, you ask? Well, if you've browsed through my list of finished works, you'd have seen this image already used. It seemed quite fitting to get the summer started with this ol' friend of mine. As you are about to find out, not much has changed with this one. Sure it's had a face lift, perhaps a little nip and tuck here and there, but for the readers whose hearts were won over as movie magic was made, it's still the same old story with the same old charms. So please, welcome back, our old friend, Galen, now with a shiny new cover! This will be back in the store July 15th! Can't wait? That's okay! Join me on Goodreads for a chance to win a copy of the new edition! Details coming soon! So today is the day that I'm supposed to make the announcement about the contest winner and go on about book promotion... and while I have everything ready to go to do so (honestly, I've had the blog post saved in my drafts since Wednesday), I'm just feeling too unsettled to jump into it. Why? Well, honestly, my heart feels heavy. I feel frustrated. And it's making me feel like using this tiny bit of space that I occupy in the world should be better spent than throwing stories out into the wind. As you all should know, the recent voting results in the UK have already had a dramatic impact on, if nothing else, the morale of millions of people. Yes, there is a huge economic consequence for this, but I'm not going to go into the facts. It's not the numbers that are bothering me. It's not even this vote that's bothering me. And so, if you have the time and interest to read further on, I'm going to go on a little rant that has nothing to do with books. I do not hold UK citizenship, but it is my second home. Just ask my husband. When university was coming to an end and there was a marriage proposal hanging above me, I ran for one last adventure and had some of the happiest moments in my life with some of the greatest people I've ever met! I didn't vote, obviously. British politics aren't even often on my radar, and given how involved I am in Canadian politics (which is usually not much), it shouldn't be very surprising. My issue isn't the facts, as I said above, it's the grief. I am grieving with people whom I love and respect. I want to grieve with them BECAUSE I love and respect them. Regardless of WHAT has caused their grief, I am a human being, as they all are, and we have an obligation to hold onto one another for strength. This is the role that I want to play. This is what I believe is the right and natural thing to do. But it isn't just the UK today. It's been everything. There has been so much to grieve in all parts of the world. And while hardships are an inevitable part of life, and while politics can take a turn for the worst, I'm finding it very hard to handle the violent emotions that have been emerging over the past few years. And what has been the major catalyst? Well folks, I happen to be related to a very avid Trump supporter. And I don't mean to get into a political battle here; if you are an adult, you have the right to vote which ever way you want. And, as a Canadian who also has no citizenship in the US, it really shouldn't seem like such a big real, especially given that this relation also has no US citizenship and can't vote anyways. So what's my issue? The issue is that people I LOVE and RESPECT (and I will repeat this a thousand times if I must) are GRIEVING. And I, because of familial obligation, have made the choice not to cut out a family member from my life due to political views. You can have your opinions, but I am sick and tired of hearing the victory cheers, or the call for blood, or for a wall, or for how it's so-and-so's own damned fault WHILE people I LOVE and RESPECT are GRIEVING. This has nothing to do with being PC. I'm not asking for you to spare our sensitive ears. I'm not trying to argue. Why? Because I've tried that, and there's just no using logic with an avid Trump supporter, especially one whose only real allegiance to the man is that his power makes him f*able. I wish I was exaggerating. But while my UK friends grieve, I'm trying to shut out the echoes of celebration. When my LGTB friends held each other in stunned silence, I was trying to shut out the "Told You So" in the background. I've gone in circles trying to fight the "Not All Muslims are Terrorist" battle, the "Transgender And DRAG Does Not Mean The Same Thing" battle, and the list goes on. If the person who fits this description is reading this, which I doubt but, hey, you never know, they could opt to read something that's not a Facebook meme, I make no apologies. We've differed on everything. But we've gone well past a difference of opinion. And while I may not be the most politically minded person in the world, I'd like to think that I at least have an eye for human decency. So I will grieve with those who are grieving. Even if you ended up being "right" in the end, at least I know that I took a moment to think beyond myself, to think beyond fear and hate, and not just to impress a group of people who just want to feel powerful. My heart is with those who feel powerless right now. And I do NOT need to feel guilty about whichever end of the political spectrum they fall into. And I do NOT need to feel guilty for distancing myself (and my family) from someone who has clearly lost what it means to be human. I don't know what the next crisis will be, but I do know that there will be one. I'm not going to sit around guessing what it will be or who's fault it is. I'm going to hold a hand, give a hug, and take the side of the compassionate. I choose humanity. So now that that's out, I'm going to go work on a book, because that's what I do; in this small space of the planet that I occupy, this is what I do, this is how I connect to other humans. It may not be country-saving useful, but it's the little light that I have to shine in the darkness. Thank you to everyone who played! Names will be drawn, the winner notified, and the announcement made on this blog by Friday June, 24th. Didn't win this time? Never fear; more contests ahead! Let's call it "Name That Title". Similar to "Name-That-Tune", only without any of the audio and all of the visual. For one full week, I will leave up a sneak peek portion of a soon to be released Newell Book. All you have to do is guess the title of this book. All correct answers (within the time-frame) will be entered into a draw for a coupon code for the NewellBooks store - which will become active once the first book is released. Update June 18th, 2016: Contest closed. Thanks for playing. So I'm a few days off schedule, but considering everything, I think that's doing pretty well. So what is it that I had to prepare you all to hear? Newellbooks will be a little more lively this summer. Over the next couple of months you will see updates, sneak peaks, and maybe a contest or two. Prepare yourselves to see new things and get reacquainted with a few old friends.